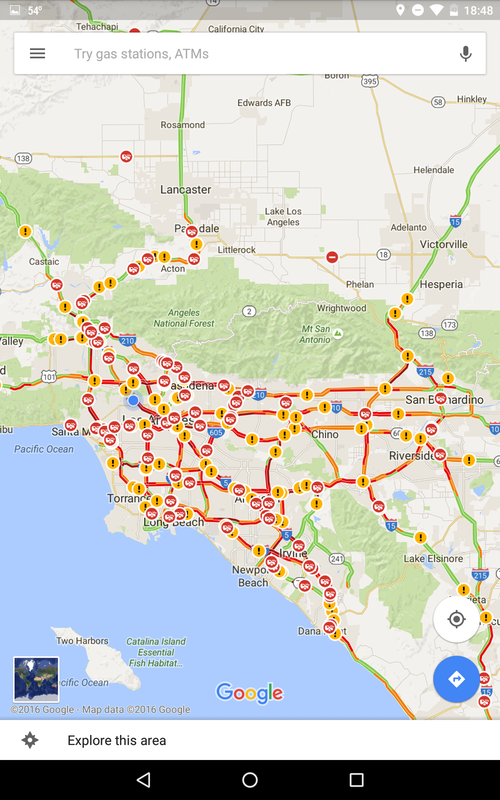 Looking at the traffic in LA is really hilarious right now. This is actually the first time I have ever seen rain while visiting here. I thankfully haven't had to go out since it started raining so I've avoided the apocalypse unfolding around me. From this apartment, I have a pretty good view of the 101. As soon as it started raining, the highway basically crawled to a halt and sirens were all over the place. Before traffic totally stopped, there were quite a few ambitious nuts who were flying down the road as if it wasn't even raining! Such an interesting event to watch!